Finding a good data recovery program is a tough task because there are many factors that you have to consider. While there are many such programs available in the market, it is recommended to pick the right one that suits your requirements and budget and offer the broad range of features that can be used in a practical way. EaseUS is the best file recovery software program that can provide you with all the options that you need to recover deleted recycle bin files. This free program offers multiple features that provide an easy way to divide and manage your hard disk space and also to recover deleted items from hard drive. The best part about it is that it is available for free, so you don’t have to pay anything for it. You can download it directly and use it the way you want it. The program offers you to extend partition and handle low disk space problems for both 32 and 64 bit Windows operating system. It also allows you to create new space, resize, move and format partitions the way you want it offering you better ways to handle your hard drive problems. When it comes to the phone, the camera quality is amazing, and often I love to capture images around me and save it. But the problem is iPhone don’t have an external memory slot to move or to copy the certain photos to the memory card or computer. We save a lot of stuff in our iPhone, and some people have a habit of cleaning the past SMS but sometimes we mistakenly delete photos or even SMS, and we are worried to get the data back. Here I recommend EaseUS MobiSaver to recover those lost files. First, let us know how this software works. 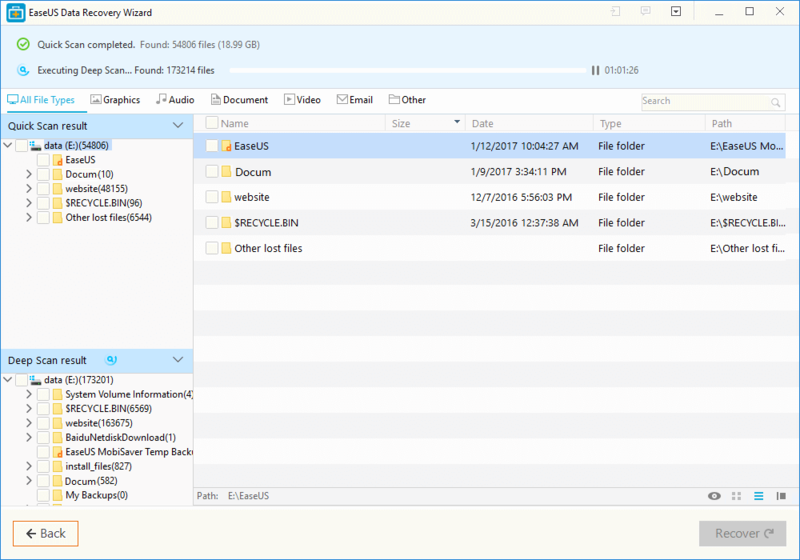 EaseUS is a simple application to recover or retrieve the lost files by connecting the device we can able to locate files which are deleted. It searches the deleted files by scanning the temp files. It is available on Mac and Windows versions. It’s handy tool, and we can easily install and use it. Now let us learn the step by step method to recover the photos from an iPhone. Install and Ease US free data recovery software, follow the simple screen steps and then wait for few minutes. It will automatically recognize every iPhone version and then ask permission to scan the device. Now click on Scan and wait for few minutes. After scanning is completed, we can easily recover iPhone photos and improve iPhone message in the last section. You can go ahead and recover any file you want to recover. In the same way, we also recover any Memory Card / Hard Drive Recovery by just following the above method or follow the screen steps provided by the software. In the below image we can see the scanned images which are ready to be recovered. We’ve discovered that retrieving of the deleted documents and photos are simple by just following the above method. Sometimes we may get errors, or the software can’t be able to recover specific files, In that case, we need to restart the system and re-scan it. If you have any doubts or if you face any issues in the installation or recovering the files, just let me know in the comment section below.